Pick up a style lesson or two from these local Instagrammers. Years ago, macho culture stated that men aren’t allowed to be fashionable. Men had to be gruff and tough and dirty, and had to stick to basics. That isn’t the case anymore. These days, slick is in—and that includes how we style ourselves. It has become okay for men to put together an actual outfit with a semblance of fashion. A leading style blogger who also happens to take some pretty cool travel, food and party photos. 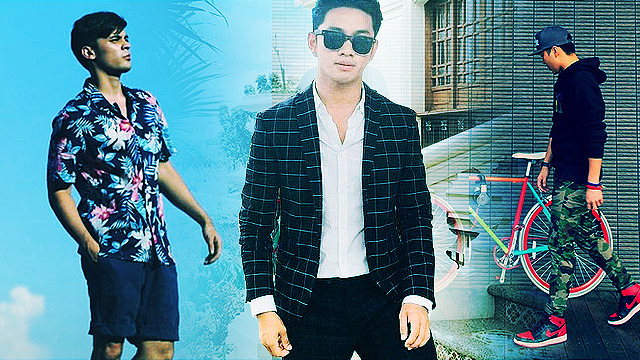 A 20-year-old blogger with a penchant for button-down shirts. A Fil-Aussie model who's into earthy tones. A sneakerhead who has a few bright ideas on what outfits go well with them kicks. Sophisticated streetwear is Gerd's specialty. French fries kill more people than sharks, yet nobody's afraid of French fries. ???? Solid ensembles for the times you're feeling loud and playful. Gets off on laidback, muted vibes. Teaches you how to adapt and dress according to the situation. #PLDTSmartiflix | www.mikylequizon.com Now I can watch my favorite shows anytime! #entertainmentanywhere Jump In and Live the #SmartLife ??? ?